The first stadium to be built as a home for two NFL teams, MetLife Football League Stadium in East Rutherford, NJ, required careful attention to the business of live football broadcasts. For a project like this, the owner-clients were not the only stakeholder: the concerns of major sports media, especially top-tier television outlets including ESPN and major networks came into play. 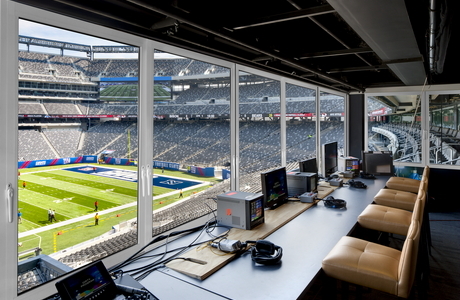 The opening from the broadcast booth that looks out onto the field would need to have the option of being open air or closed against inclement weather, in either case offering a minimally obstructed view of the event being televised. Additionally, the glass panels themselves, when open, would need to be secured into a position in which they would not interfere with the cabling, lighting, communications and other equipment associated with major television broadcasts. For these purposes, architectural firm Ewing Cole found no product or system superior in performance and attributes to NanaWall. 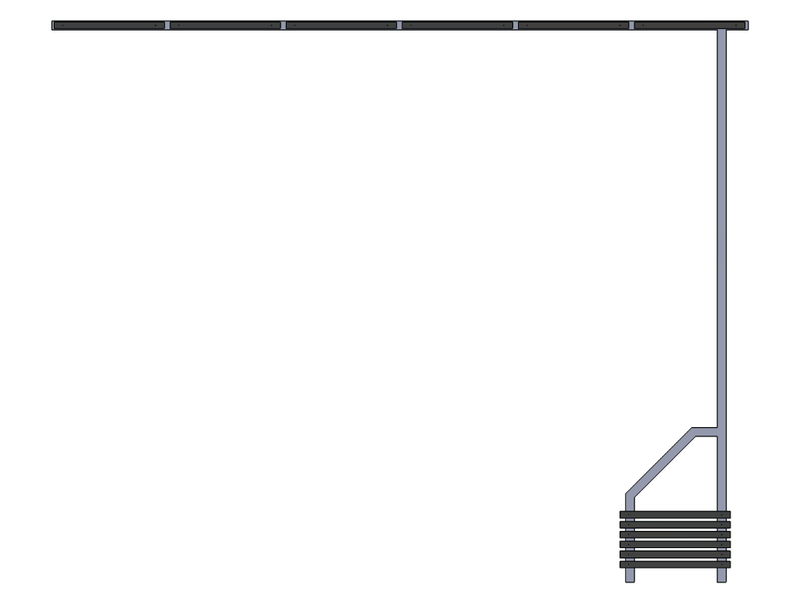 "NanaWall's system is fully retractable.So it also helps that the NanaWall system can be stacked remotely, out of the way." "We needed a solution for a 15-foot span of the national broadcast booth," says Steve Ziegler, Senior Project Manager with Ewing Cole. "The booth would need to be adaptable for use by television broadcasters and producers delivering live coverage of NFL games and other events. Retractable windows were a must, as was a stacking solution that would not interfere with other equipment." 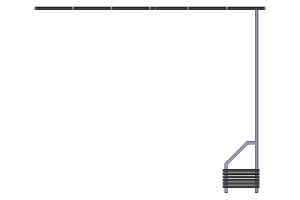 The firm ultimately specified NanaWall's HSW60 Thermally Broken Aluminum Single Track Sliding System. 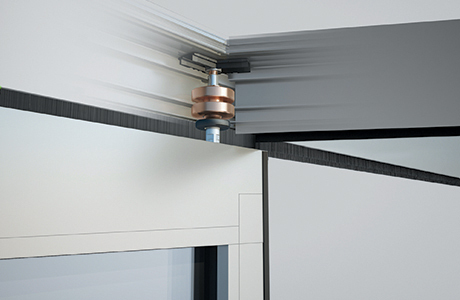 Unlike sliding door systems, NanaWall's folding system slides completely out-of-sight when needed, making it a perfect solution for on-camera use. With world-class on-camera broadcast quality as a baseline -- the stadium is slated to host Superbowl XLVIII in February 2014 -- every aspect of the broadcast booth had to support global television broadcasts. 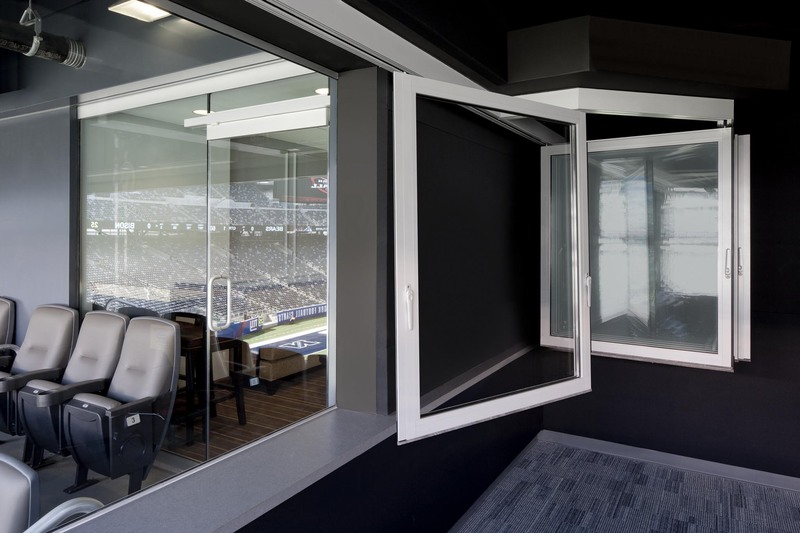 In this sense the 15-foot opening and its glass panel solution would be a part of a television studio, from which beloved TV sportscasters would watch the game and offer live commentary, including on-camera segments. "Because the booth ceiling is hung with rigging, tubes, electrical wire and so forth," Ziegler notes, "frames that retract upward would have interfered with technical requirements for broadcasts." "NanaWall's system is fully retractable," he continues, "which keeps the panes clear of the critical, delicate equipment." This aspect of the NanaWall system has an enormous impact on the ease of use of the relative small broadcast booth by NFL broadcast pros. Furthermore, traditional sliding glass panels were not an option, since the frames would still be visible when in the open position. "So it also helps that the NanaWall system can be stacked remotely, out of the way," Ziegler concludes. 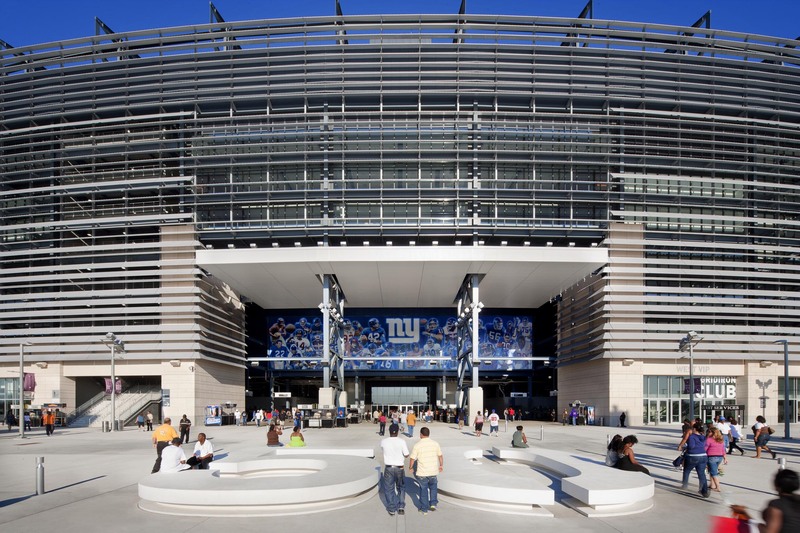 In a 2.1 million-square-foot project designed to hold a crowd of 82,500 football fans, the specification of a 15-foot span of glass doors seems minor, but NanaWall's system has made a difference for millions of sports fans watching at home.